Today we take a look at a boutique consulting firm you may not have heard of, The Brattle Group. Founded in 1990, The Brattle Group offers answers to economic, regulatory and financial questions posed by corporations, law firms and governments around the globe. For 2 years straight, The Brattle Group has been recognized as one Vault’s Top 50 U.S. Consulting Firms, ranking 7th overall both years. Founded in 1990, The Brattle Group is a relatively new kid on the block, but its story began in 1983, when Incentives Research Inc. (IRI) was founded. IRI was kept intentionally small by its leadership, many of whom became founding principals at The Brattle Group, so that they could close their doors for a month at a time and take vacations together. Then, in 1990, The Brattle Group was born. Most likely seeking inspiration from month long vacations to Venice and on African safari, the 5 founding principals wanted to create a firm that would be fun to work at, with a particular emphasis on mutual respect for colleagues and work of the highest quality. In fact, The Brattle Group founders we convinced that by getting the firm culture just right, consulting could be the most fun way for a person to make money. Then, in 1995, after ongoing talks, IRL and The Brattle Group combined, possibly starting the biggest party consulting has ever seen. After this, the party started gaining more momentum. First, The Brattle Group opened its Washington office in 1996 with a focus on regulations, antitrust and public policy. Then, In 1997, The Brattle Group jumped across the Atlantic and opened an office in London. The next few years were important for The Brattle Group as it solidified its existing base and began expanding, both in terms staff and revenue. As the new millennium came roaring in, The Brattle Group went from good to better by adding power to its ranks and expanding even more. In 2002, Dan McFadden, who won the Nobel Prize for Economics became a Brattle Group Principal and played a pivotal role in establishing the firm’s San Francisco office. 2 years later, Competition Economics, Inc., with two former Department of Justice economists in tow, joined The Brattle Group, and things really began to start cooking. In moves that smacked of pragmatism, acumen and fun vacation potential, The Brattle Group then opened offices in Madrid & Rome in 2009 and 2010 respectively. This current decade, like the last, has been one of growth and expansion. In 2013, after deciding to establish a presence in the biggest legal and financial market on the planet, The Brattle Group set up shop in Manhattan. Then, in 2015, it went further North to Toronto in a bid to service our chilly brothers and sisters in Canada. Finally, perhaps in search of warmer weather and good surf, The Brattle Group’s Sydney office opened in 2016. The Brattle Group maintains a pretty straightforward, 3-tiered structure of Research Analysts, Associates and Principals. At the top of the pile sits the president & CEO, who also acts as a Principal. The Brattle Group, in case you didn’t already know, boasts an elite group of economists, experts in both the public and private sectors, and this flat structure is beneficial in that it allows entry-level analysts to work side-by-side with world renowned economists. The Brattle Group’s head office is in Cambridge, MA and it’s fair to say most of the major operational decisions flow from here. However, judging by the spread of principals across offices, even though most of them are in Cambridge, each office has a unique purpose and a high degree of autonomy when it comes to servicing its key demographics. There are 3 levels at The Brattle Group Research Analyst -> Associate -> Principal. Easy. Brattle group has a variety of opportunities for Research Analysts and Associates over the summer. It probably doesn’t surprise you to find out that a lot of The Brattle Group’s alum go on to complete their PhDs in various fields. But that’s not all. Others go on to enjoy illustrious careers as analysts at Fortune 100 companies and beyond. Compared to MBB, your exit opportunities won’t be as broad as they could be, but by doing a good job at Brattle Group, you can open yourself up to more than a few good options. Amongst its employees, The Brattle Group has very high favorability. Numbered among the things they love are the high quality of their colleagues, the interesting nature of the work, flexibility and the benefits. That’s not to say everything is smiles and rainbows all the time. As much as everyone there seems to love it so much, some feel their growth opportunities are limited by Brattle Group’s small size and flat structure. In addition to this, the flexibility that people love can also leave them vulnerable to having late nights sprung on them last minute. And though Brattle Group has a famously collegial atmosphere, some employees feel like it’s generated a cliquey working atmosphere. All in all, the culture at Brattle Group is very strong. So many happy people can’t be wrong, right? And who can argue with a firm that goes out of its way to organize day trips, sports teams, charity events, and other functions to build a spirit of community, fun, and camaraderie? In short – if you are interested in economic consulting, The Brattle Group is the place to be – great learning opportunities mixed with a very strong culture. Research Analyst: RAs at Brattle are critical members of project teams. As an RA, you will build your knowledge and skills through both hands-on and formal training. Working as an RA gives you the chance to apply what you’ve learned in school and help clients solve complex problems. Associate: Brattle Group wants Associates who are highly motivated and intellectually curious. As an Associate, just as with Research Analysts, you will work in teams with internationally recognized experts. However, since you have to have complete some form of postgrad degree to apply to Brattle Group as an Associate (Master’s, MBA, PhD all accepted), a lot more will be expected of you when compared to Research Analysts, something to bear in mind. If you apply through your school you can expect to have your first interview on-campus. This will probably be a panel interview focusing mainly on fit questions. If you apply online, this first interview will be a phone or video interview. 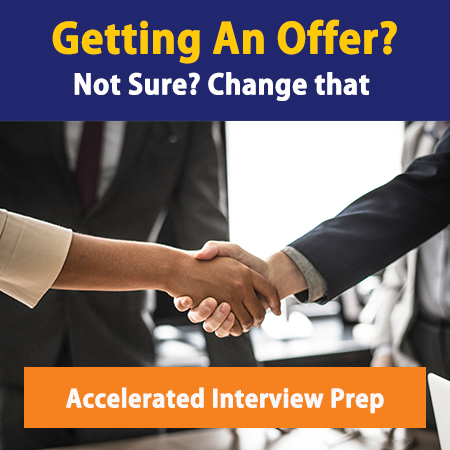 If you make it through the first round, in the second round you’ll be brought into the office for a full day of interviewing with RAs, Associates and Principals. Over the course of the day, you will get asked to complete 1 or 2 cases, but the main emphasis will be explaining your research experience and ensuring you’re a good fit for the firm.